Transactions that involve the sale of assets like houses, lots, vehicles, guns, and assets that have been legally registered under the name of the seller should be recorded on a bill of sale. A bill of sale is used for bought items where there is a need to trade proprietorship of the item to the buyer. This document states that both sides have come to an understanding that the sale involves the transfer of rights. There are nine Bill Of Sale Samples that can serve as your guide if there is a necessity for you to sell your assets. From the different examples in this article, there will clearly be one that would suit your taste. Take a look at all of the sample templates we have below. 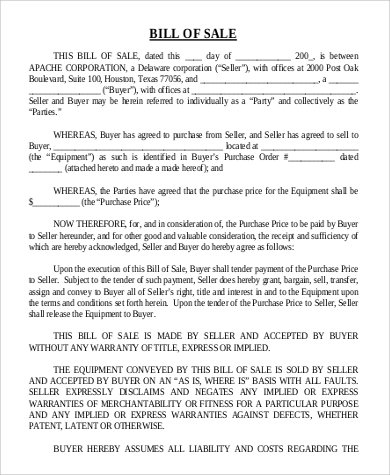 What Does Bill of Sale Mean? When time comes that there is a necessity for someone to sell their things considered as assets for specific reasons, a bill of sale is used to show the exchange between the two parties with an agreement that the proprietorship of said sold item becomes the seller’s responsibility. 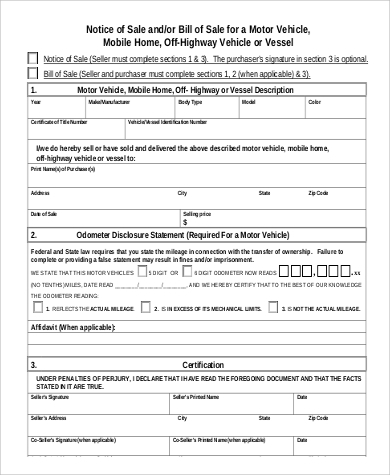 This can be considered as a fundamental document for times when there is a need to file for taxes, mortgage, and reselling of the item by the purchaser in the future. 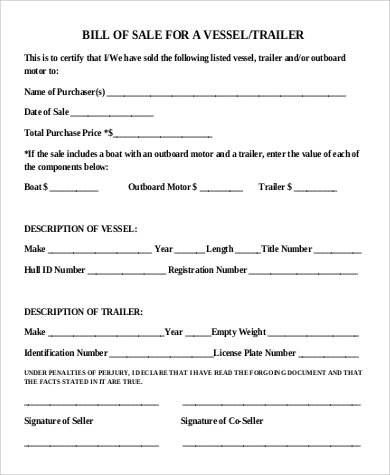 If there are any witnesses to the transaction, their names should be included as well as their signature. 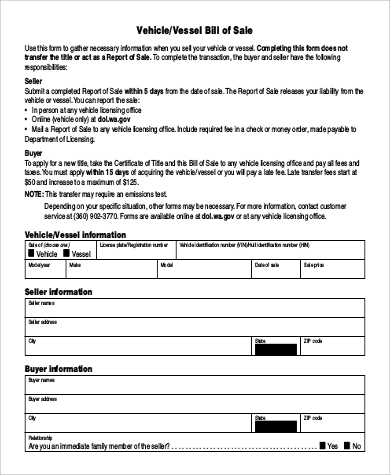 You can look at Motor Vehicle Bill of Sale if you or someone you know is planning to sell a motorcycle. It is an affirmation that can show the trade between the seller of the item and the buyer is existing. 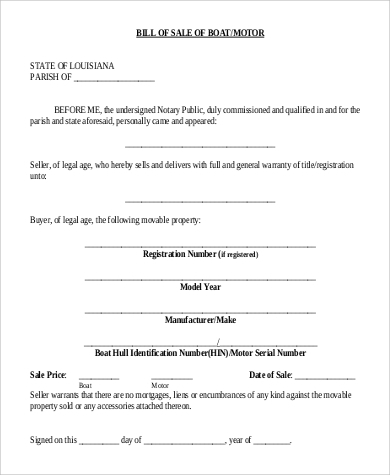 It is also a documentation that the rights have been lawfully transferred to the new owner. Since all the essential data about the sale transaction is recorded, this makes it easy to resolve any issue should there be any. 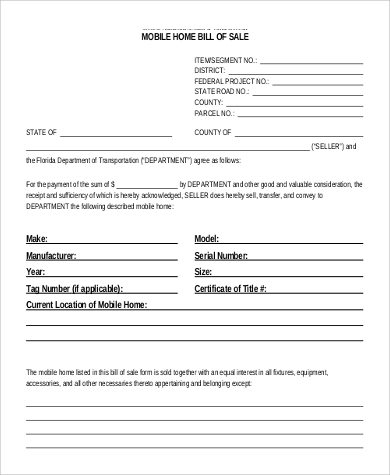 It is an important document that can be used by the buyer if he/she needs to trade the item for money, appealing tax returns, and applying for a loan. 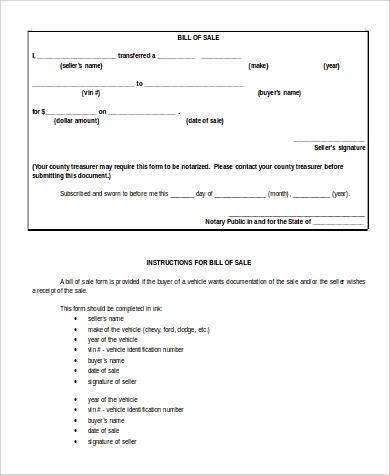 A bill of sale is useful in different types of sale transactions that involve assets (see Bill of Sale Samples For Gun). Here are some of the reasons to exploit the availability of the templates in this article. No need to make one from scratch! 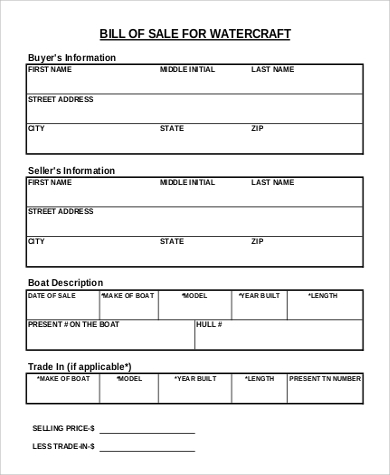 Using these formats can save you a lot of time since you can easily replace the words in the template with your own sale transaction experience. 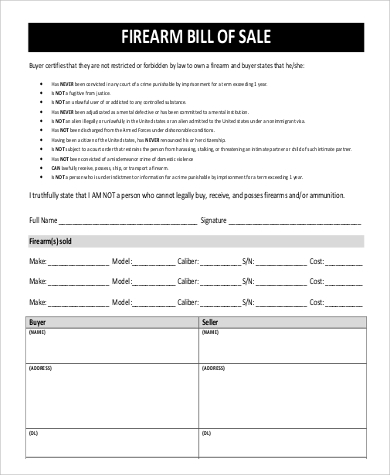 These templates are designed to ensure that all the fundamental and essential data are recorded regarding the transaction. 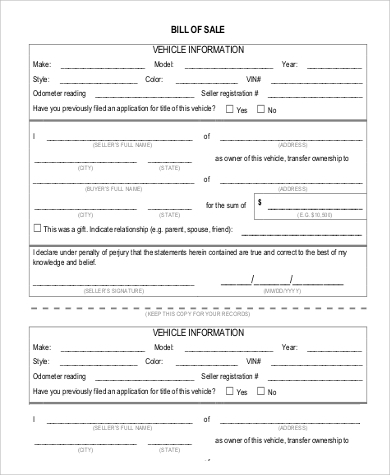 These order form templates are in compact file formats—PDF and Word Document. The do not take up a huge amount of storage space plus they are very convenient to edit. Downloading of these templates are straightforward and free. No need to be redirected to another website.